I am a homeschooling mom in Park Slope, Brooklyn raising two independent thinkers. Here is a list of books we have been reading to get ready for summer! As you might imagine, some of the heaviest regulations for homeschoolers are found right here in New York. This week I took the first step to register my son as an official homeschooler. Here in NYC, you do not have to register until the year your child turns 6 years old. This is the year your child would be in 1st grade in public school. The cut-off date for school is December 31st so if your child will be 6 this calendar year, he or she must be registered. The next step is to submit the Individualized Home Instruction Plan, otherwise known as IHIP. It is due on August 15, so stay tuned for more information on that paperwork. 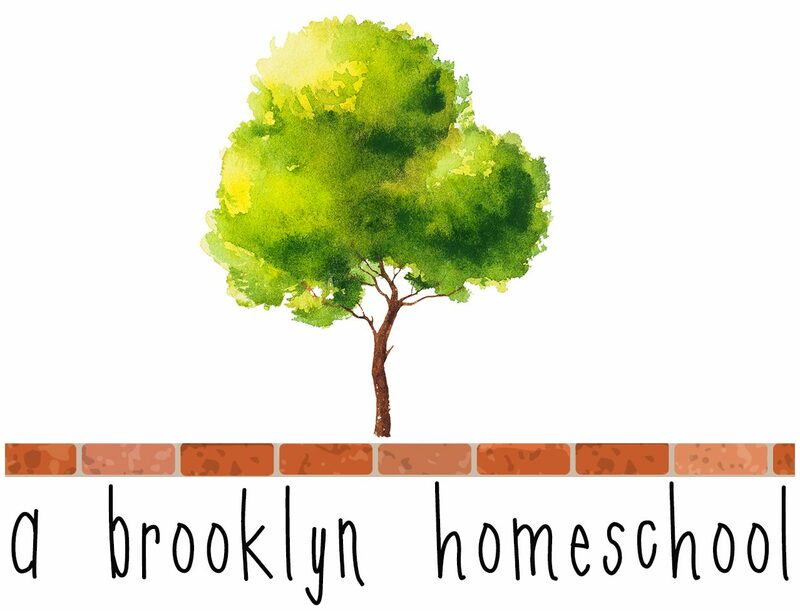 A Brooklyn homeschool is back! I realized that when my kid’s forest school program ended for the year, I no longer had time to write on the blog. I learned I cannot write on the computer at night after my kids are asleep or I have a very hard time falling asleep. Nighttime screen time definitely does not work for me! But, their forest school camp started, so I found my writing time. Happy to be back and I hope you’ll enjoy the posts that go up this week. These nature picture books are some of my kids all-time favorites. We have read them over and over again! Finding Wild by Megan Wagner Lloyd – This is a great book about nature in an urban environment. All the World by Liz Garton Scanlon – This is a board book but the text is just so beautiful. Wonders of Nature by Jane Werner Watson – This is an old book but I love how it notices the very simple aspects of nature and points them out as wonderful. What a Wonderful World by Bob Thiele- My kids love to listen to the song by Louis Armstrong as I turn the pages of the book. A Tree is Nice by Janice May Udry – This is such a simple, beautiful book. The Kids Guide to Exploring Nature by Brooklyn Botanic Garden – We love the BBG and we love this book! On the Nature Trail by Storey Publishing – This is a beautiful take-along field guide for kids ages 4 and up. Do you have any recommendations of books about nature? Here is a small collection of interesting podcasts and articles I’ve listened to and read this past week that I thought were worth sharing! If you are even thinking, even thinking just a little teeny bit about homeschooling, please give this a listen! Or read the transcript if podcasts are not for you. If you are trying to convince your spouse or family why homeschooling is not so crazy, send this to them! Janet Lansbury herself is lovely (I loved her parenting books) and she is interviewing what I would call an “unlikely homeschooler,” Laura Grace Weldon. She came to homeschooling late in the game, when her oldest son was already a freshman in high school. Laura gives so many reasons why homeschooling was the best choice for her family and how it could be for yours too. She does a great job explaining the research behind the value of self-directed learning. Laura also has a book, Free Range Learning, which I am really looking forward to reading. Denaye said “This is one of the best articles explaining why simplifying life for kids is so beneficial.” I agree. It’s a quick and great read. There you have it! Happy weekend! Last year I organized a homeschool field trip to the Battery Urban Farm. I was so excited to find this gem of a place right in lower Manhattan! It was truly amazing to see a functioning farm in the middle of our big, bustling city! Their field trip was so well organized. From the ease of the online registration, to the friendliness of the staff, to the multiple hands-on experiences the kids rotated through, the entire day was full of learning and fun. We even got to taste some of the vegetables they grow! While you are there you can also check out the Sea Glass Carousel, a very beautiful and unique carousel. You can also spend time near the water watching the boats or hop on the Staten Island Ferry. There are many beautiful gardens to stroll through, bike paths to ride, and even a labyrinth to walk through. There is so much for kids to enjoy in this small area of NYC. Here are some of our favorite books (with affiliate links) about bugs! My kids just love when we take out the bug books each May. Insects are one of their favorite topics to read about for sure. I Like Bugs by Margaret Wise Brown – This is a great easy reader for young kids learning to read. Some Bugs by Angela DiTerlizzi – This one is my favorite. It’s fun to read out loud and the pictures are great. This year, Ethan (5.5) has loved The Fly Guy Series by Tedd Arnold. He finds it so funny! We have also been enjoying the hands-on experience of having insects in our home to observe. This is our second year with both the Inset Lore Deluxe Butterfly Garden and the Insect Lore Ladybug Land from Amazon. The caterpillars and ladybugs are currently in pupa stage so I cannot comment on our success rate this year but we had a 100% success rate last year! Here’s a few pictures of our Insect studies throughout the last few years. Even though we use the same insect kits and the same books, I find the kids learn more and more each year.